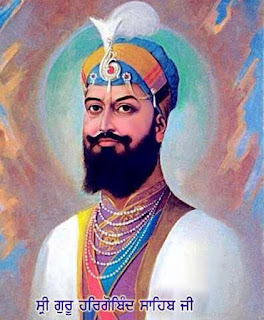 Guru Hargobind 19 June 1595 - 3 March 1644), revered as the sixth Nanak, was the sixth of ten Gurus of the Sikh religion. He was barely eleven years old when he became Guru on 11 June 1606, after the execution of his father, Guru Arjan, by the Mughal emperor Jahangir. He initiated a military tradition within Sikhism to resist Islamic persecution and protect the freedom of religion. He had the longest tenure as Guru, lasting 37 years, 9 months and 3 days.